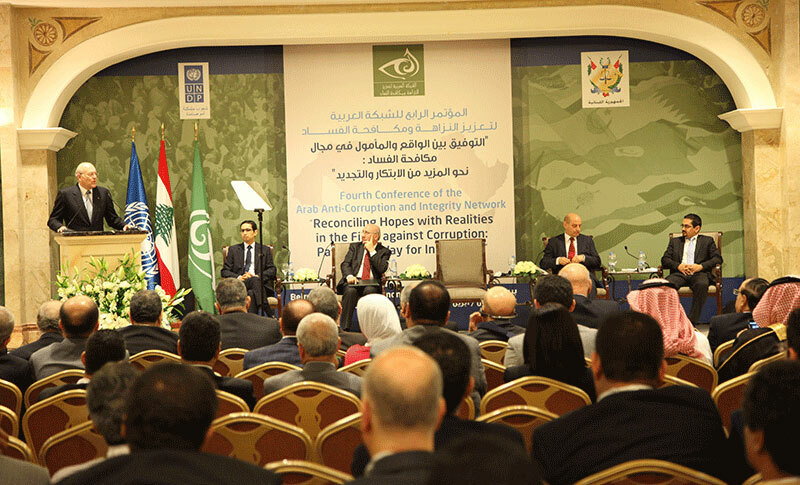 Lebanese prime minister addressing the conference. 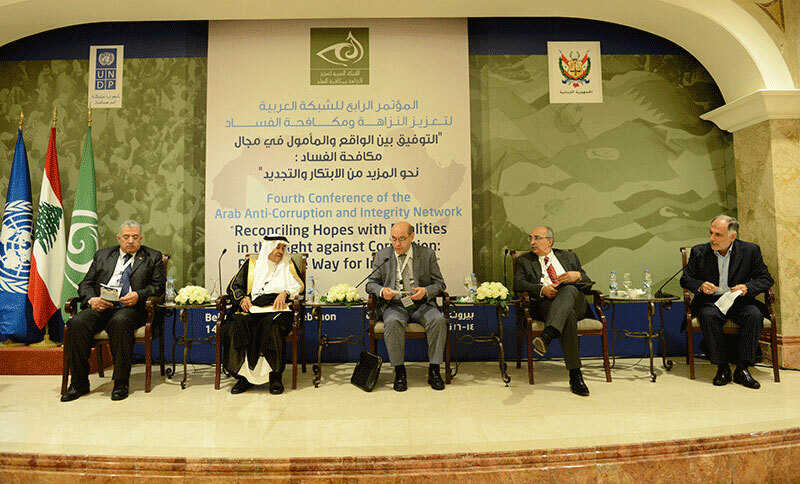 Arab ministers speaking on their countries recent anti-corruption efforts. 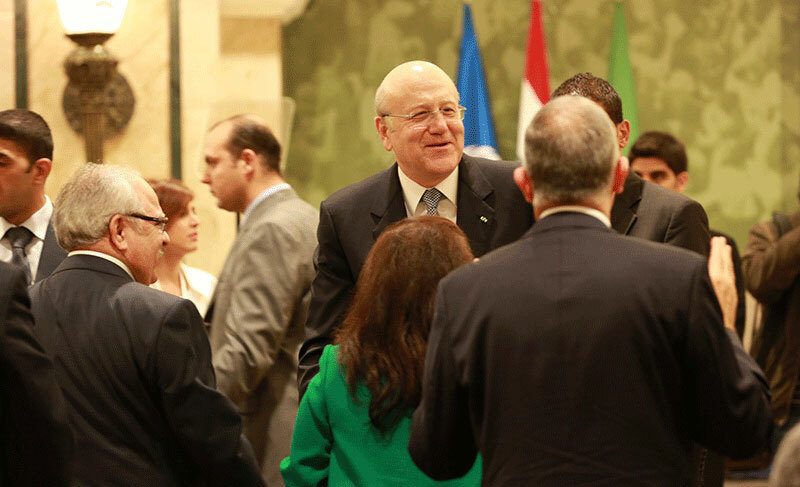 Lebanese prime minister Mikati greeting participants. 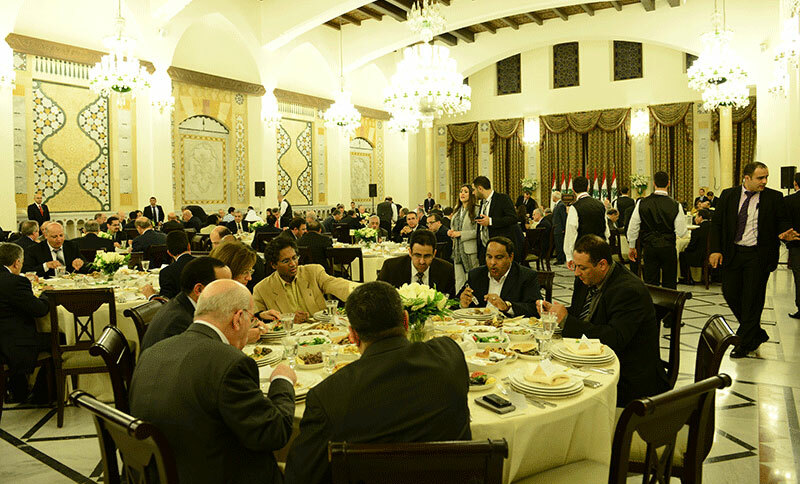 Participants at the official dinner in the grand Serail. 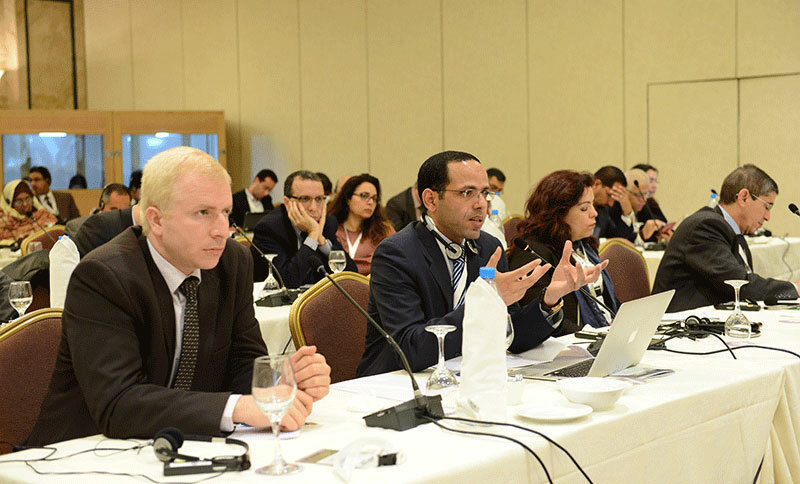 Intervention from the floor in one of the parallel sessions. 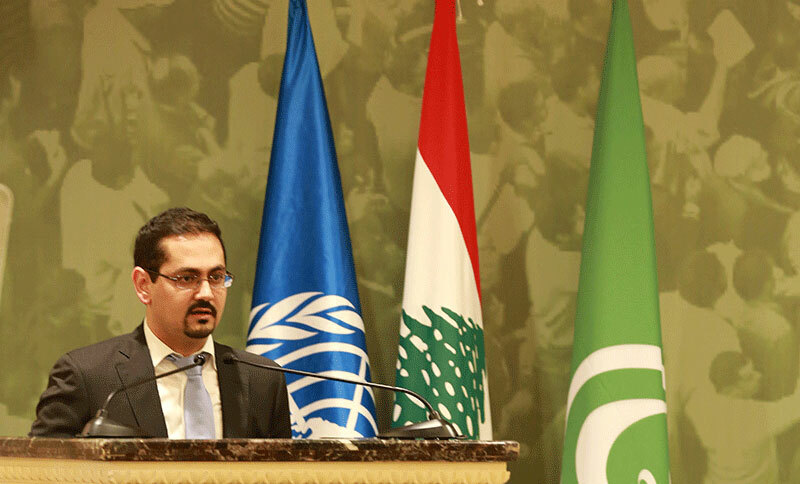 El Seblani presenting the Beirut declaration against corruption. 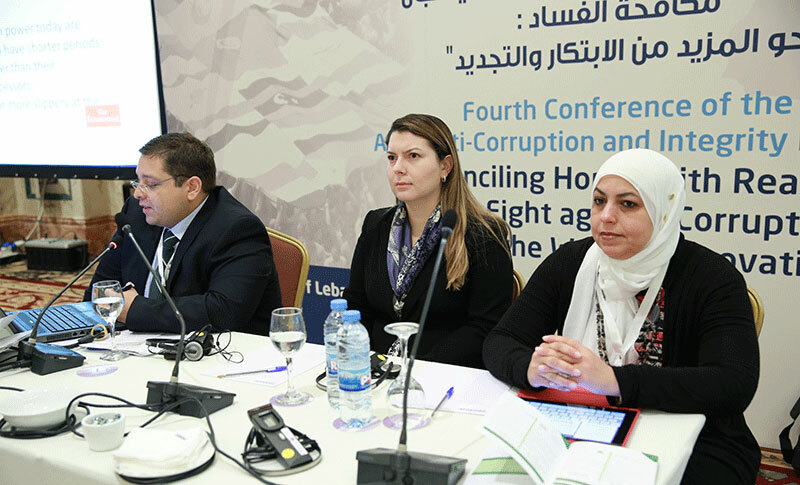 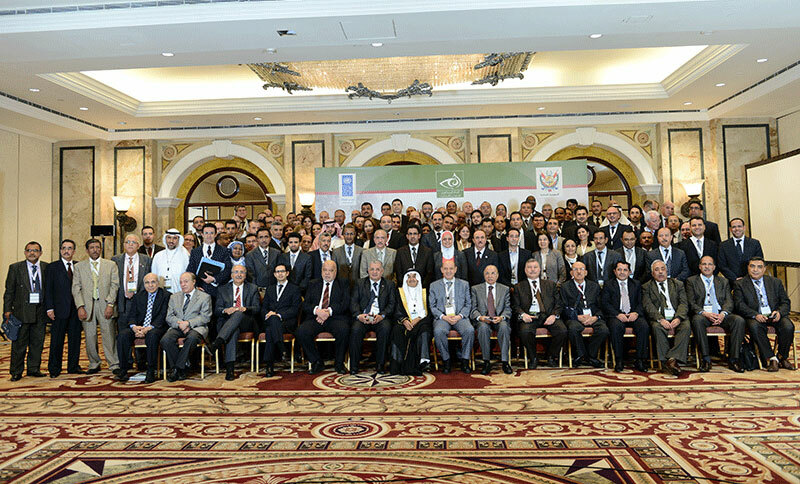 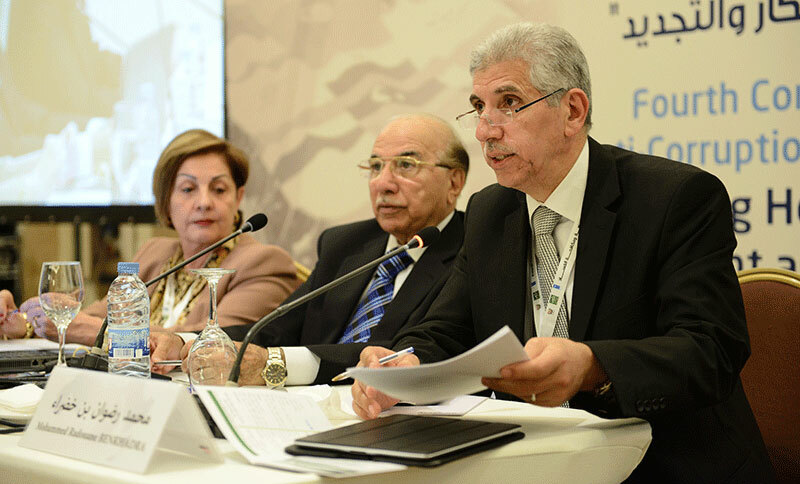 Fourth Conference of the Arab Anti-Corruption and Integrity Network "Reconciling Hopes with Realities in the Fight against Corruption: Paving the Way for Innovation"